Even the loss of a single tooth can prove devastating to your smile in the long term. To replace the lost tooth, your dentist can design a custom dental bridge to fill the space and restore your smile’s uniformity. The replacement tooth, or pontic, of a bridge is often crafted from highly realistic dental ceramic according to detailed digital measurements of your teeth and dental ridge. The pontic is supported by equally lifelike crowns that are bonded to the remaining adjacent teeth, known as abutment teeth. A dental bridge offers a comfortable, discreet, and long-lasting solution to tooth loss, and may possess more than one pontic to replace two or more adjacent lost teeth. 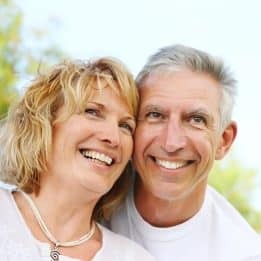 The crowns and abutment teeth that support a traditional bridge make the prosthesis durable and comfortable, but for improved results, your dentist may recommend supporting your bridge on dental implants. Biocompatible implants are surgically inserted into the jawbone and can be used to support a bridge or other prosthetic appliance without having to modify healthy teeth for support. If missing teeth make you self-conscious about your smile, then speak with your dentist about the benefits of a traditional or implant-supported bridge during your next visit. To schedule a consultation with one of our experts, call the My Dentist office in Londonderry, NH, today at (603) 965-3407.